Also known as the variegated leaf Periwinkle or Greater Periwinkle, this fantastic evergreen shrub produces pretty flowers from late spring to summer amongst those stunning creamy edged variegated leaves. 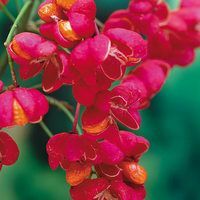 It has a mat forming habit and will grow anywhere in the garden, even in shade under trees where very little else will so an incredibly useful plant for bring some colour to shady areas. 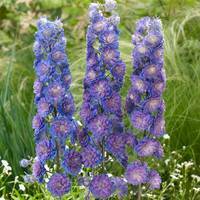 The flower colour will be brighter in full sunlight. 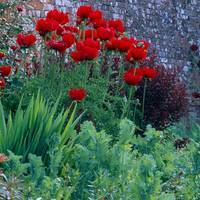 Allow one plant per square meter. 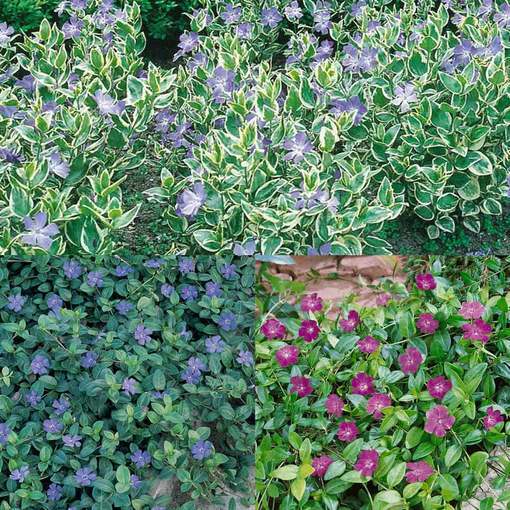 Three each of Vinca Minor, Vinca Atropureum and Major Variegated. Supplied in 9cm pots. Pruning To help control growth, you can cut back in early Spring. 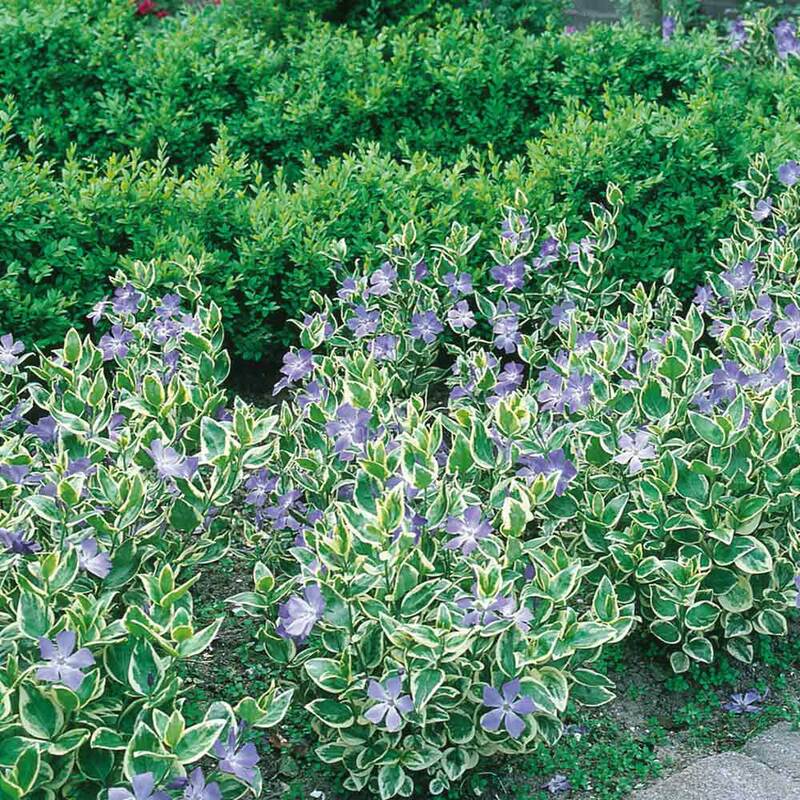 To help control growth, you can cut back in early Spring. 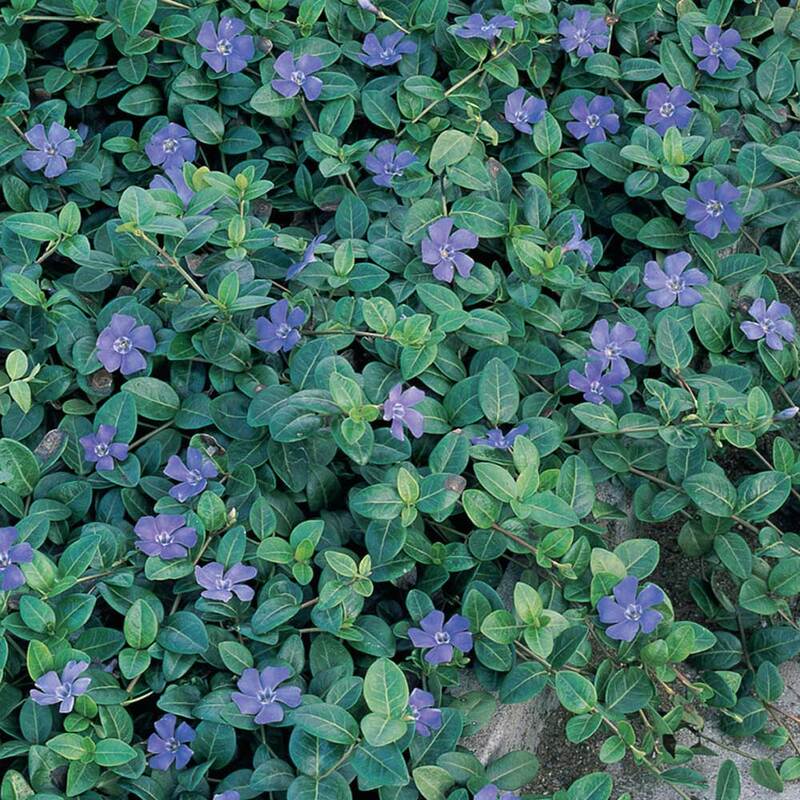 Vinca are suitable for planting in almost all reasonable soils, in either full sun or shade. 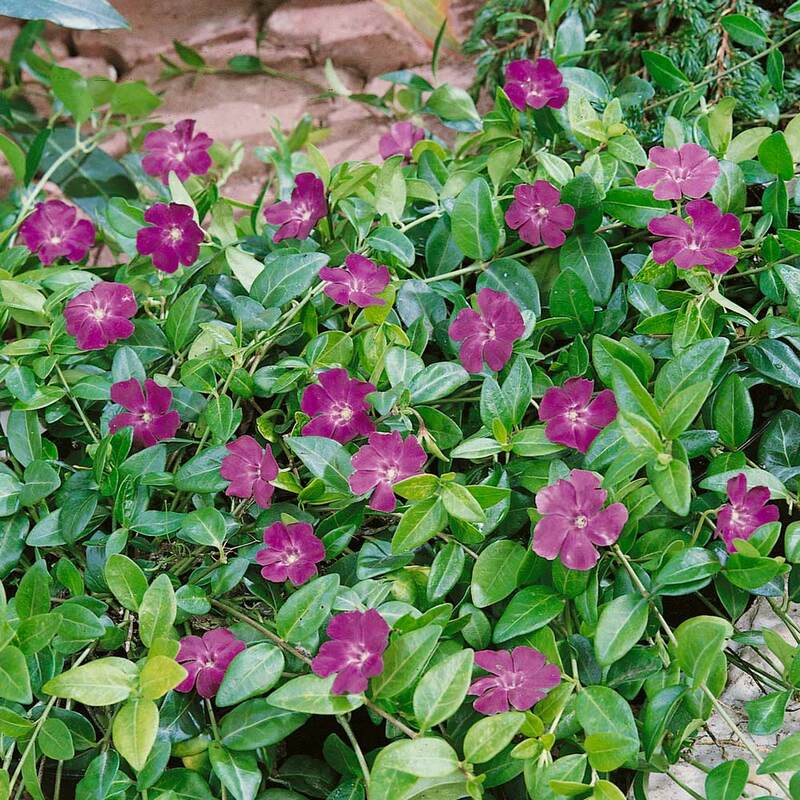 Vinca are an excellent trailing or ground cover plant that is certain to look fantastic in borders or shady parts of your garden. They must be watered regularly, but take care not to over water. Can be pruned back in early Spring to help keep under control, as they will spread quickly once established.